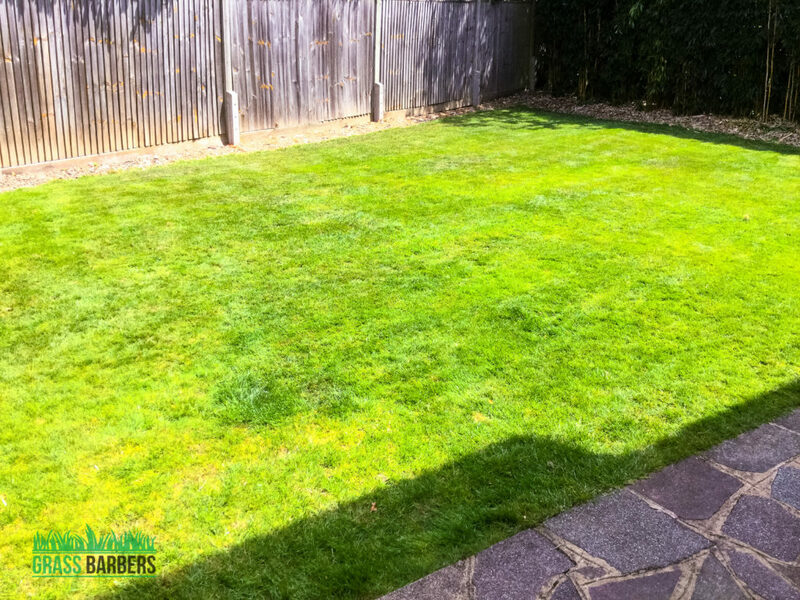 Grass Barbers gardeners visited the private garden for grass cutting project in South Croydon CR2. 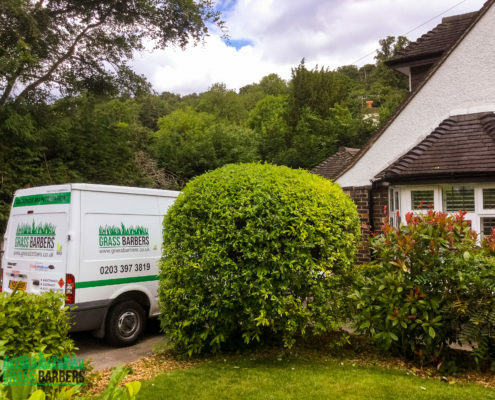 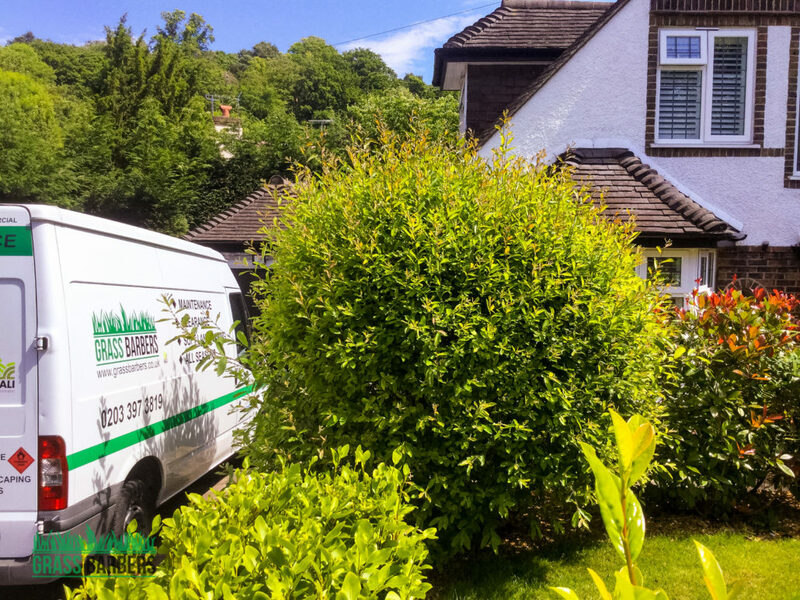 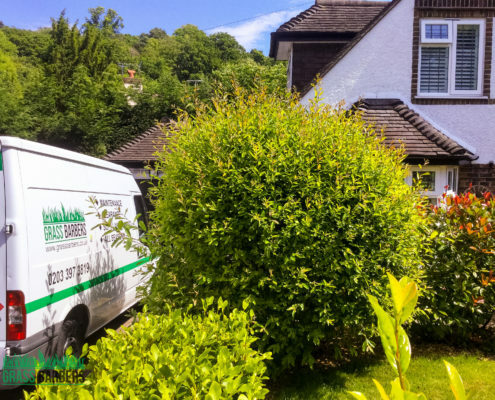 This garden is located near a busy main road in Croydon, therefore hedges, shrubs, flowers and lawns are there to hide the house and help to clean the air from dust and car exhaust gasses. 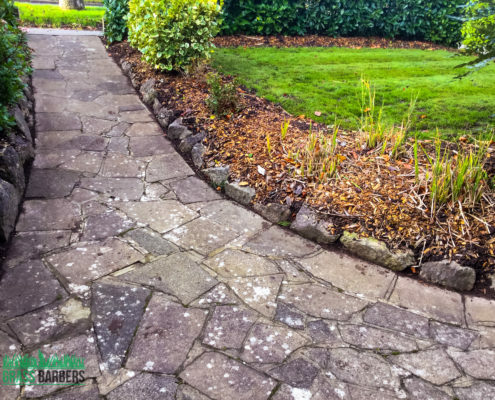 The project was started by collecting litter and leaves and once all the landscaped areas were cleaned we carried out grass cutting and strimming work. 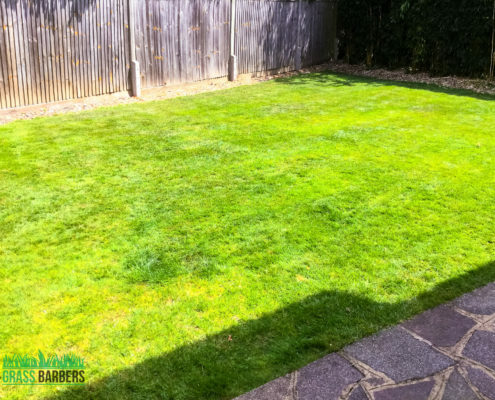 Using lawn edger all the edges were shaped around the front and back garden lawns – the job ensured wide flowerbeds were kept weed free without using chemicals or spending countless hours doing hand weeding. 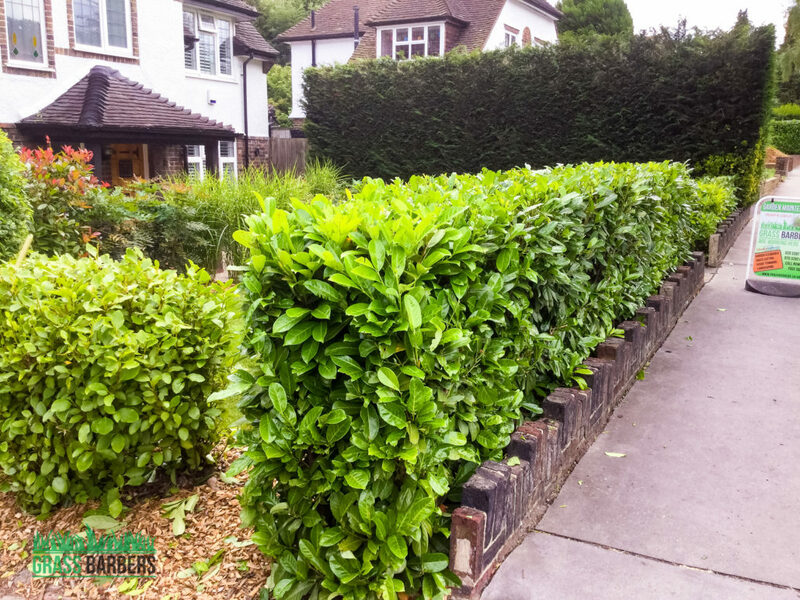 Hedges growing around the site boundaries were trimmed in order to promote healthy new growth and allow plants to fill in any gaps or patches. 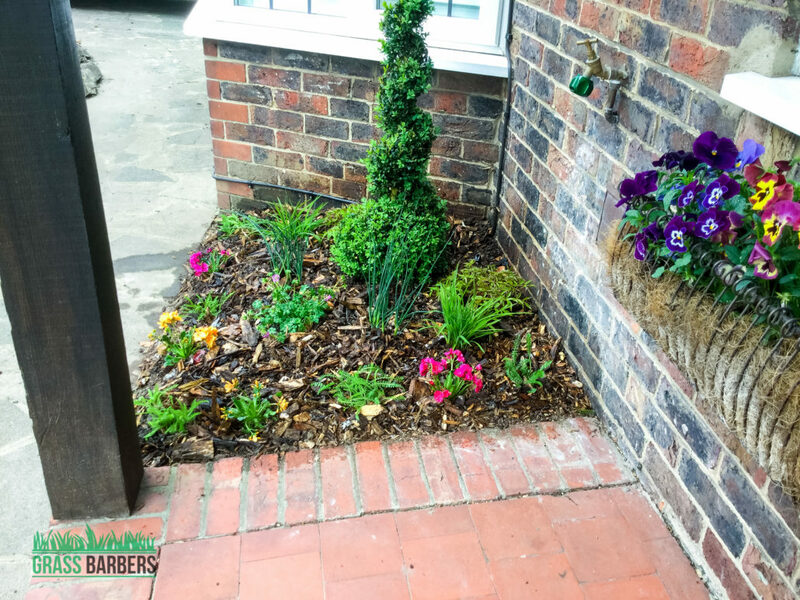 The customer wanted to remove overgrown plant near the main entrance of the house to introduce lightweight, modern looking evergreen plant and some perennial flowers for seasonal colours. 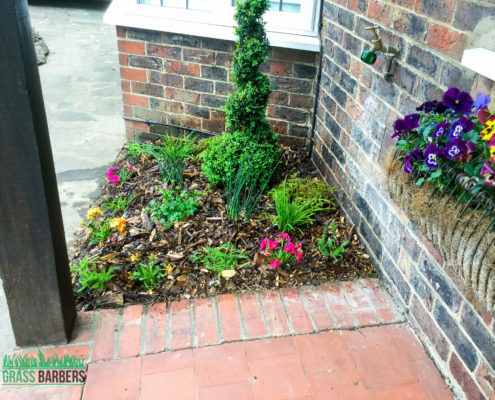 As part of the natural weed control plan we applied wood chippings on all flower beds and hedge basis. 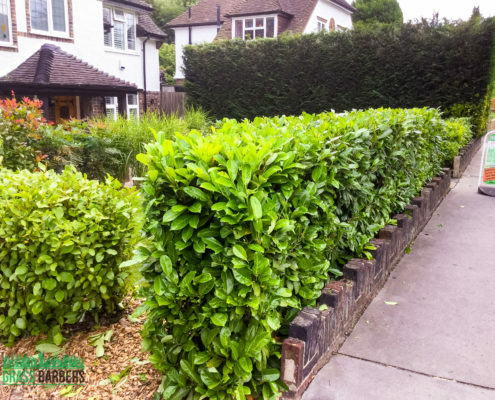 This material will keep the beds weed free and also control soil moisture and temperature. 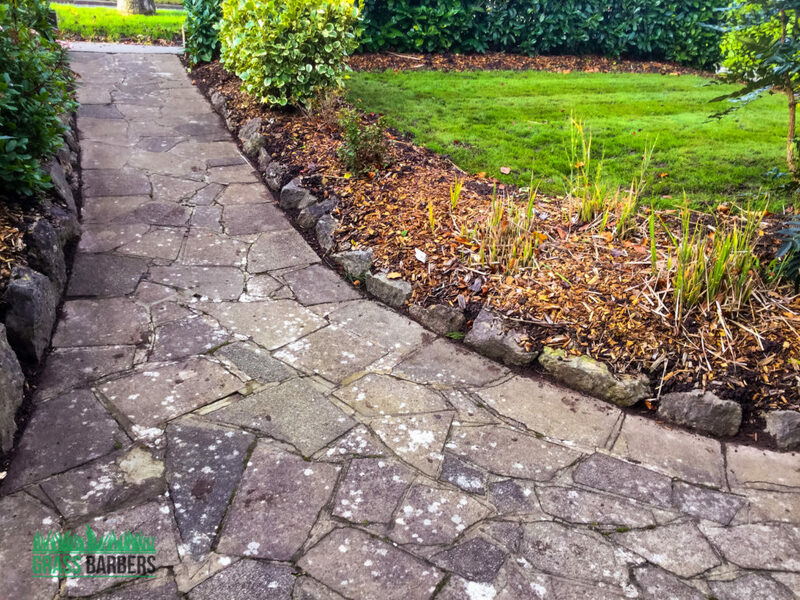 This gardening visit was finished by sweeping all pavings and driveway and leaving the site clean and tidy.